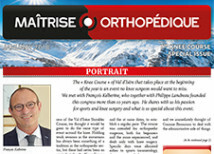 The « Knee Course » of Val d’Isère that takes place at the beginning of the year is an event no knee surgeon would want to miss. We met with François Kelberine, who together with Philippe Landreau founded this congress more than 10 years ago. He shares with us his passion for sports and knee surgery and what is so special about this event. 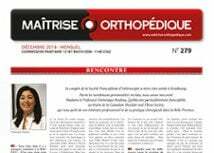 Whilst orthopedic surgeons will continue to debate the merit of patella resurfacing in total knee replacement (TKR), there is no doubt that information worldwide from the registries shows the revision rate is lower in patients whose primary TKR includes patella resurfacing. Unicompartmental treatment of knee osteoarthritis (OA) has been available to surgeons for decades. However, on nationwide scales, as reported by arthroplasty registries, the utilization rates of lateral unicompartmental knee arthroplasty (LUKA) have historically been low. There has been a significant rise in the number of total knee arthroplasties (TKA) being performed. Knee arthroplasty is an effective treatment for advanced conditions and offers satisfactory long-term survival rates. The incidence of degenerative knee pathologies is on the rise worldwide, affecting increasingly younger patients who wish to remain physically active for as long as possible.